I found this very clear background paper by the Research Service of the US Congress to help Congress answer the following question: should the US resume payment of its contributions to UNESCO or not? The paper recalls several US criticisms regarding UNESCO: politicization, lack of budget discipline and programmatic focus, perceived leanings toward anti-democratic countries, too inward oriented and a human resources policy with too little consideration of merit. It also mentioned what triggered the withholding of the US contribution to UNESCO in 2011: the recognition of Palestine as a full member of the organization. I recognize large part of this criticism. It is indeed true for example that given the consensus-based nature of the decision-making process “approved resolutions are often not very specific, even those addressing budgetary issues.” As a matter of fact, I am paid by my own government to help improve this situation by systematically addressing the financial aspect of decisions. Not because we prefer to discuss money to education or culture, but because as Member States we are responsible for making sure that our decisions about programmes also receive the necessary means for achieving their objectives. It’s not reasonable to ask your car to drive 100 miles extra when its gas tank is almost empty. It is a tricky job, because talking about money and results is easily perceived as a way to eliminate programmes or committees that other Member States appreciate so much. Each time I address an agenda item from the dollars-and-results-perspective I can be perceived as a person who’s not really interested in education, culture and science but in more results-reports, bureaucracy and sometimes even in killing the organization. And yet nothing is further from the truth: if you want your tree to flourish you need to prune and take care of it! It's not for nothing that the best wines come from vineyards where the winegrower only lets the best grapes reach maturity. In other words: quality and excellence are a matter of choice and concentration. Of course I regret that these choices are difficult to make and sometimes cause suspicion. But I gladly accept this risk as the price you have to pay for working in a truly global organization where the method of work is based on the constructive principle of consensus and not on the law of the jungle. The starting point at UNESCO is that we are all very, very different but that we stick together to valorize and promote this diversity. Not out of idealism, but because we understand that diversity is not a weakness but a strength. It’s true that diversity can “slow down” negotiations, but in the end you learn more about both the other and yourself. This is one of the founding principles of UNESCO: by valorizing cultural diversity, nations build self-awareness and self-confidence, thereby enhancing their capacity to interact with and learn from others. Everything at UNESCO reminds you of its global character: its work, its Member States, its art collection and its building. 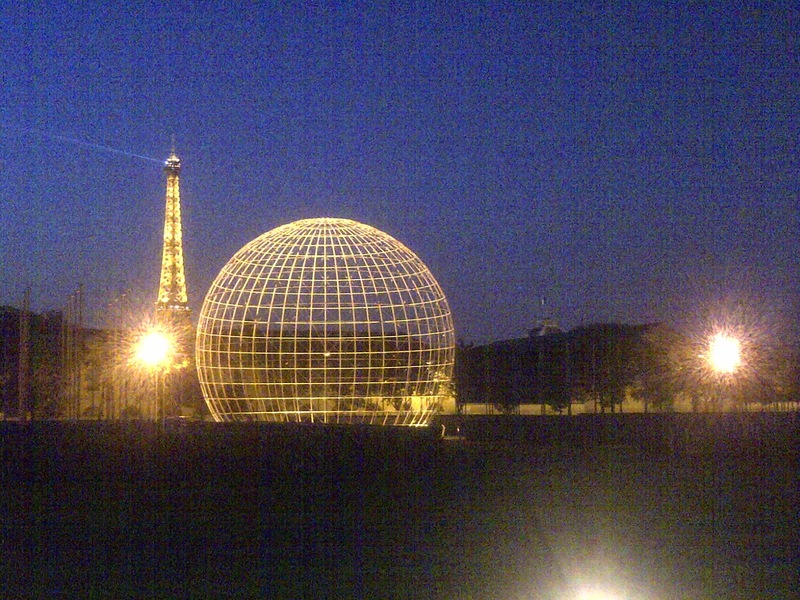 This view is the reward I get when I leave the building after a late meeting: the globe offered to UNESCO by Denmark with the Eiffeltower in the background. Obviously this learning process is not about producing food and jobs like the Food and Agriculture Organisation (FAO) and the International Labor Organisation (ILO). UNESCO is not about ending physical hunger (FAO) but about avoiding mental hunger (ignorance). UNESCO is neither about producing physical labor (ILO) but about disclosing humanity’s mental potential through education and science. This is a delicate mission because education and culture are windows on who we and others are, on what our nations and communities stand for, on our heritage, on our very different but interconnected histories and on our values that we teach our children and that we consider of the highest importance. Culture and education are the building blocks of our identity and everybody has something to say about them. That makes them such difficult topics to agree on. But that also makes them fantastic opportunities for Member States to show that they really want to understand and learn from each other by sharing things like our (world) heritage, tsunami warning systems and expertise in educational planning. You’ll understand my point by now: I have trouble accepting that these unique opportunities to overcome our diversity by valorizing it are not used to the full extent. It’s frustrating to see one of us slowly leaving the negotiation table even before we can start building on the major improvements we just achieved. It delegitimizes UNESCO and creates a general feeling of failure. It’s bad for the ambiance, and therefore bad for diplomacy. No matter the reason for which a member decides to withdraw its support of the “club of all” (UN), it hurts the club and its members. This is one of the reasons why I’m so attracted to diplomacy: because it aims to avoid drawbacks like these by keeping the dialogue going. No matter what happens diplomacy requires that you never give up the dialogue to preserve our chances of improvement. I write "our" chances because although we might think that we’re rowing our own little (or big) boats, the truth is that we’re all in the same big boat. So when there are leaks we better act as a team and help each other to repair them because otherwise we’ll simply go under, slowly but surely. Therefore I keep my definition of diplomacy is as short and simple as possible: keep smiling, keep talking! Don't let UNESCO's engine get overheated!